ELECTRICAL EXPERTISE: When do you need it? The following 4 examples are going to show you an actual electrical service entrance to a small commercial building. 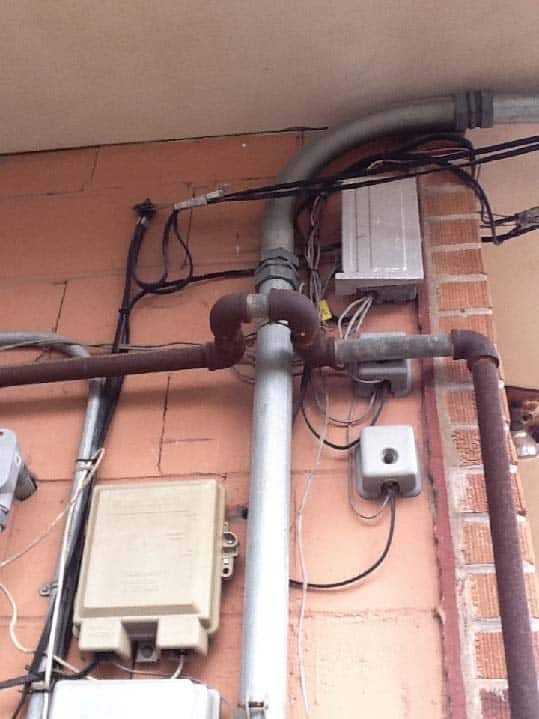 There are 4 easily identifiable installation issues that are clearly code violations. We will show you why it is important to be familiar with all tradesmen under your general contract and understand the basics of electrical utility service and when something is wrong. If you want to take the test at the end please do so and we will grade and reply to you in private with your score and the correct code information. 1. What is wrong with scenario 1? 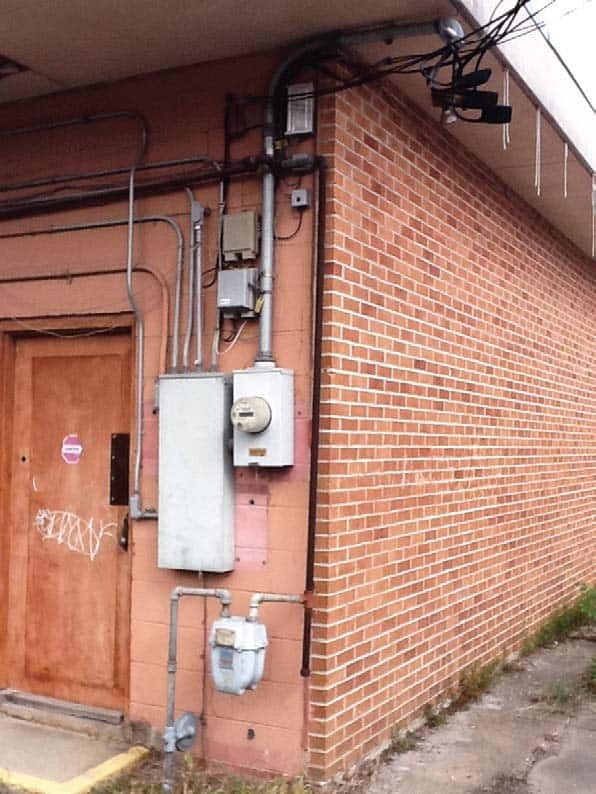 The following 4 examples are going to show you an actual electrical service entrance to a small commercial building. 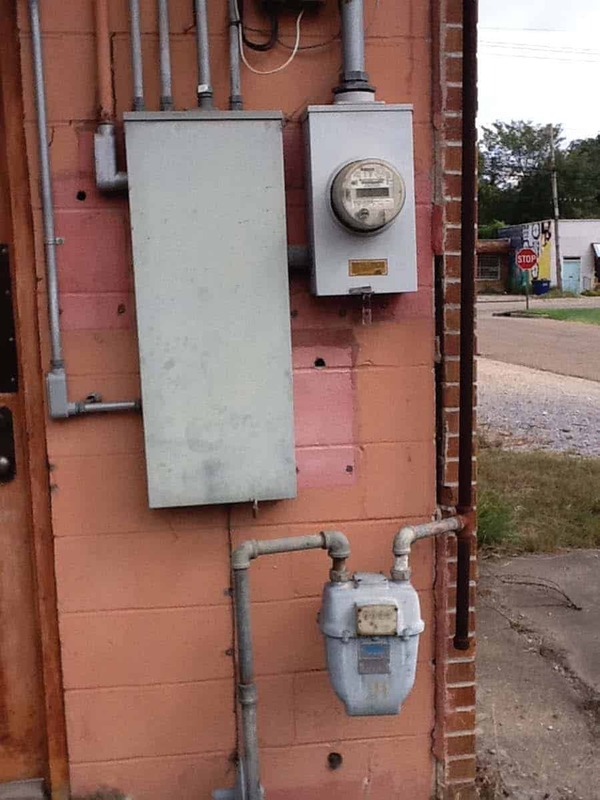 There are 4 easily identifiable installation issues that are clearly code violations. 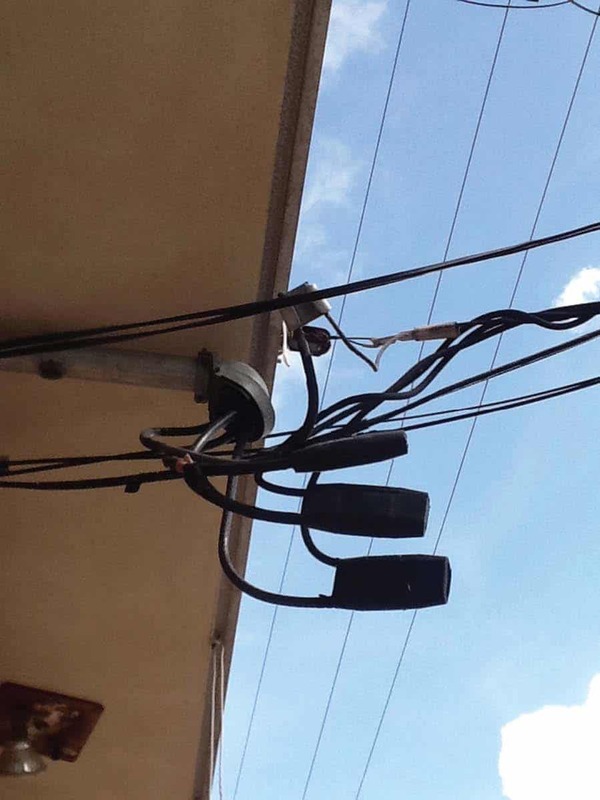 We will show you why it is important to be familiar with all tradesmen under your general contract and understand the basics of electrical utility service and when something is wrong. 2. What is wrong with scenario 2? 3. What is wrong with scenario 3? 4. What is wrong with scenario 4? Many general contractors are not too familiar with technical trade work and must rely on experts. A water line added or a new electrical circuit requires more than meets the eye to accomplish the installation of the item. Experienced MEP – Mechanical, Electrical and Plumbing tradesmen are experts with apprentice programs often totaling 8 years or 16,000 hours of work to become a master journeyman. These MEP experts should be relied upon for their respective systems that can cause many ongoing problems in a home or business. The MEP tradesman’s work if improperly designed or incorrectly installed can result in sewer gas, explosions, gas leaks, water leaks, flooding, excessive humidity issues, carbon monoxide poisoning, fire and electrocution. Because of this risk to the structure and the inhabitants of a building we have building codes. Skipping the building permit or MEP permit is never a good choice. The truly professional contractor always plays by the rules as the permit and inspection process allows for peer review of the work and ensures that local jurisdictions are satisfied. The process often slows the job down and tends to delay construction but it is also a safety net used by general contractors to ensure that building is progressing according to code. Many general contractors must rely on specialty mechanical contractors, electricians, and plumbers for their estimates and work skills. In some states contractors must test and have a working knowledge of all trade areas, best construction practices and common code issues encountered to get a contractors license. Other states may only require a fee to obtain licenses along with a vernal liability insurance policy. In spite of the local licensing requirements or if knowledge based testing is required a smart general contractor is a generalist. The generalist is like the family Practitioner who treats common colds and looks for signs or disease and other systemic problems. He doesn’t fix many problems but refers you to a specialist i.e., heart doctor or an orthopedic surgeon. So to must the contractor be able to manage tradesman properly, framing spacing, shingle layouts, plumb door, etc…. In the insurance world of restoration work- restoration contractors deal with the same issues of safety and temper utilities during mitigation and need professional help. During the construction phases skilled trades are vital to the project. In the insurance world MEP estimates requiring knowledge of these trades are often left “open” or “undetermined”. 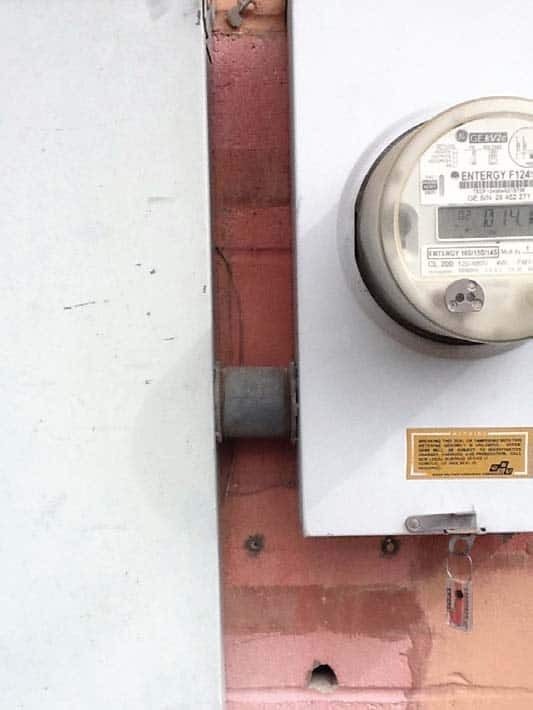 Many contractors stated that they are waiting for a license electrical, plumber or HVAC company to assess the job before preparing the estimate. Why because general contractors and restoration contractors are either not knowledgeable of these trades, the codes and the specific design requirements of the systems. Our skilled staff of experts provides electrical and mechanical estimates of all types for residential and commercial work in Xactimate. Our estimates are fee based and we can help you. Call to inquire about our skilled and trained estimating services 877-378-4183. To take the test, cut and paste this and send your test answers to info@er-emergency.com. We will grade and return with the correct answers providing to you, the best practices and code deficiencies for this example. Cut and paste the test below in the body of the email and answer each question with the appropriate letter and send email.